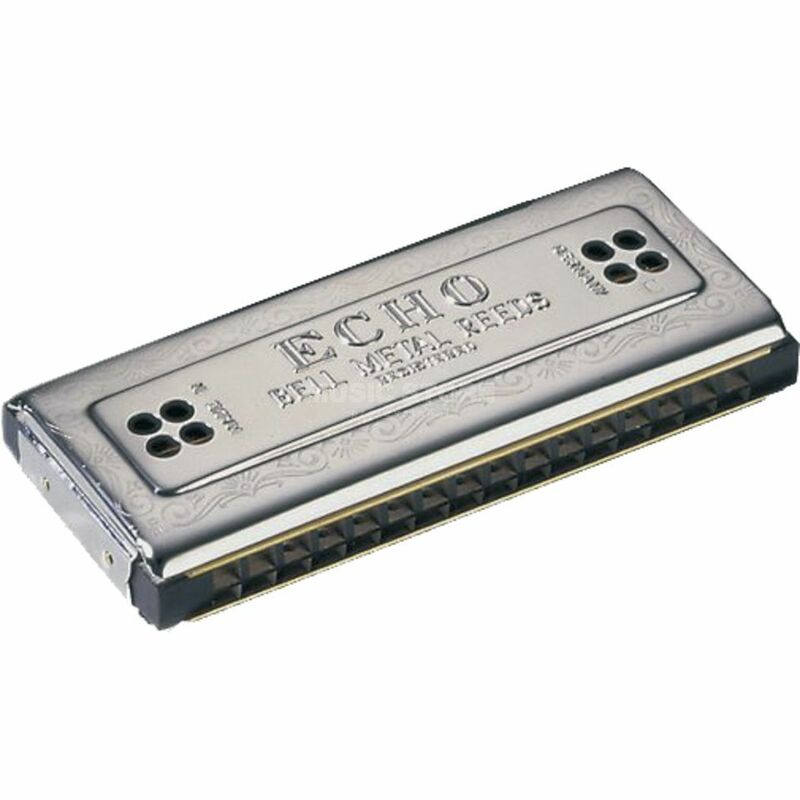 The Hohner Echo Harp 64 is a harmonica with both the C & G tunings, and 64 reeds (2 x 32). The smallest Harp of the Echo-Family! For more than a century, these double-sided harmonicas have been a player favourite. Two keys are available on each instrument. The Echo's precision-tuned reeds create a beautifully blended vibrato tone.